is the 38mm wastegate going to handle the duties? everything looks good so far man. Keep up the good work . Any goals in mind? I had wrapped all the pipes and put thermal sleeve on all the hoses in the area but hadn't gotten my heat shield yet for the OMP. The front line blistered and started squirting just a bit. 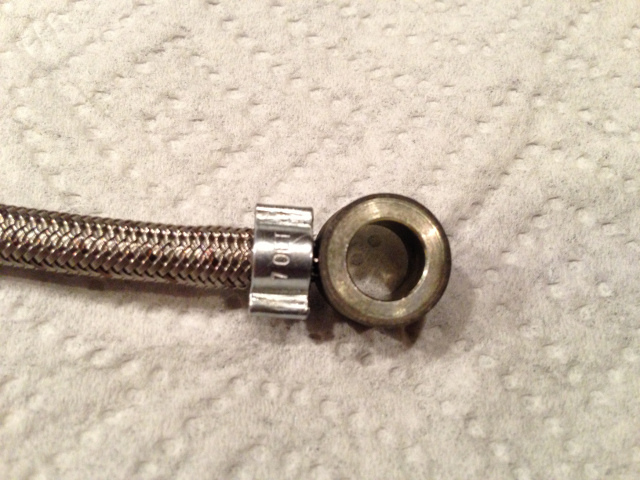 I picked up some SS braided Teflon tubing and clamps and repaired the ruptured line. So far it is holding up, and if it lasts I will do the others. I also put some Inferno shield around the OMP and it seems to be helping. Much thanks to FazdaRX_8 for his advice and inspiration! You are a great guy! For anyone interested in making their own I called the place where I got my supplies, NW Hose & Fittings here in Spokane, WA. Their prices did go up a bit, now they are selling the 1/8" ID hose for $4.30/ft and the crimp connectors are $0.45/ea. When I made mine I bought 12 feet and I had about 2-3 feet left over. I wanted margin for error The 1/8" is tight to get the fittings into, but it can be done with a little lube, muscle and love. Wait, that came out way wrong They also have 3/16" ID but I don't think I'd recommend that at this point. Last edited by slash128; 11-26-2015 at 09:43 AM. 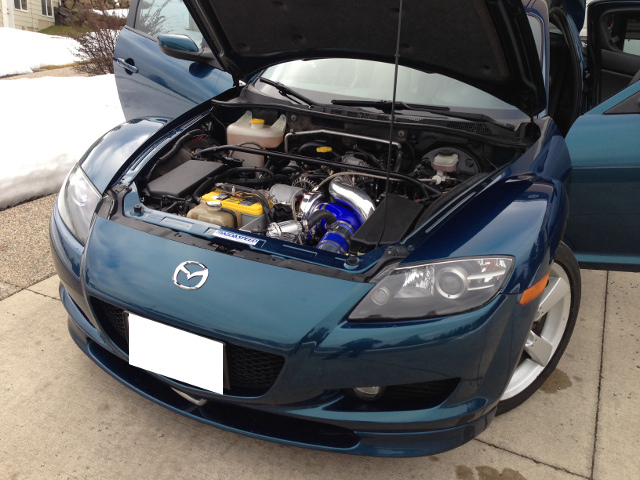 what injectors are you using? Eventually I will probably look at a bigger wg. In order to get things going I just went with what was originally included in the kit. It will be a work in progress I am using stock reds for P1s and uncapped yellows for secondaries and P2s. who is handling the tuning? Sorry for all the questions but according to 9k it might be possible for me to get my hands on a PTP manifold so I want to know how well it holds up for reference. 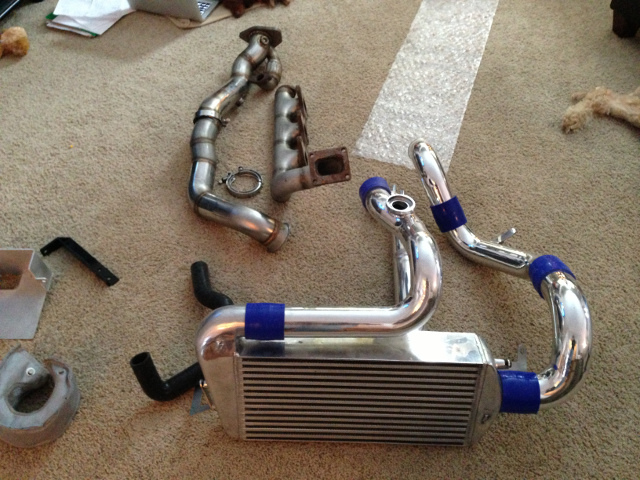 Have any pictures of your downpipe/wastegate dump set-up? Fazda is helping and teaching me to tune, he's been awesome He has quite an impressive setup that he put together from scratch. I didn't snap any pics of the manifold or wg while under the car. I will eventually be under there again and will try to remember. I never got around to calling on that manifold. I don't know if I will at this point, got some other things I really should address first. 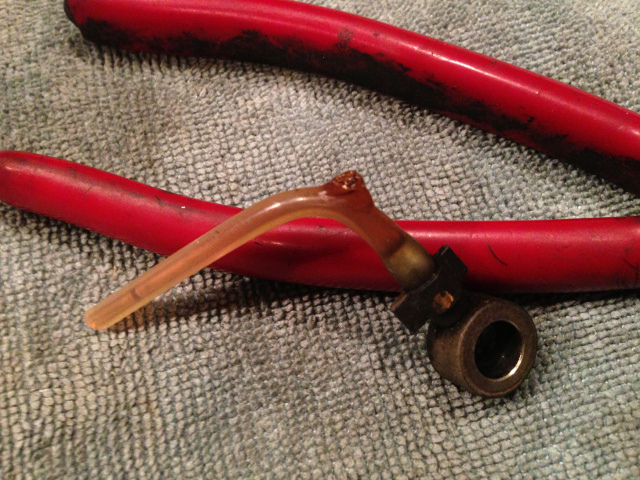 This manifold does come up under the OMP very close because it was designed to keep a battery in the bay. This is why the OMP line blistered, even with the wrap. I put inferno shield in between, I'll see how long it holds up. Last edited by slash128; 02-16-2013 at 10:06 PM. I was actually thinking of this kit today because I was reading thru Corky Bells book on turbocharging a little while ago and in the waste gate section he used and example of how not to setup a waste gate and the manifold drawing he used was similar to the PTP manifold. You should read that book. I am really glad to see you still fighting the good fight man. Thanks for the heads up, I will check it out. 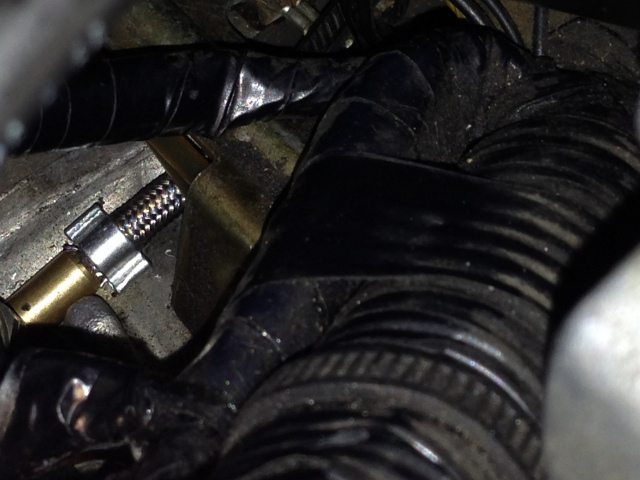 I thought it was funky the way they did it at the other end of the manifold. I could always do a block off on the wg end of the manifold and relocate the wg up by the turbo. Last edited by slash128; 04-09-2016 at 07:58 PM. I can almost guarantee that you'll have boost issues with a .3bar 38mm mounted on the opposite end of the manifold. You will need a bigger wg right from the beginning... other than that, good luck with the project! Thanks for the advice guys. 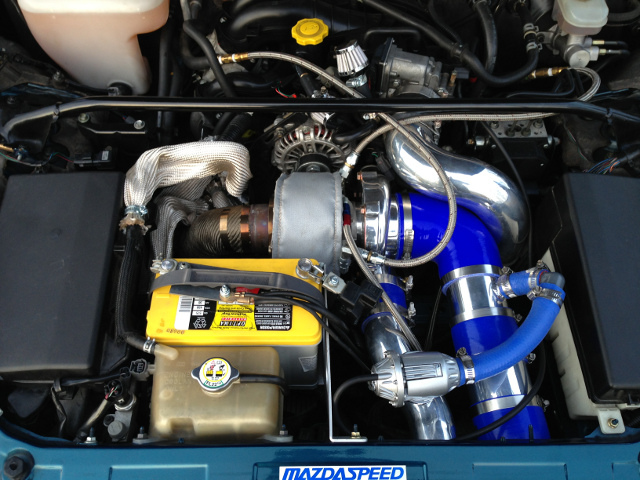 I hear ya on the wastegate: bigger and on the same end of the manifold as the turbo. When I get that reworked I may also have the manifold reworked to give more clearance to the OMP and move the turbo farther forward in the bay. I'll have to relocate the battery for this, but it would be worth the improvement. I am only running on the .5 bar wastegate spring but the wastegate is controlling the boost very well. Last edited by slash128; 02-17-2013 at 10:38 PM. Too bad you didn't get the oil-less center. CT has some nice offerings, a 6065 would have been a better balance IMO. A rotary typically needs more turbine flow relative to the compressor. A Tial turbine housing is worth every penny too. Ya I was interested in the oil-less version but it was an extra $500. Thank you for the advice. I may swap pieces down the road. Justin at Comp is great to deal with. I was originally trying to get the Turbonetics that the kit originally came with but they were in the middle of end if year inventory and it was going to be several weeks before they could ship, so I looked at options. 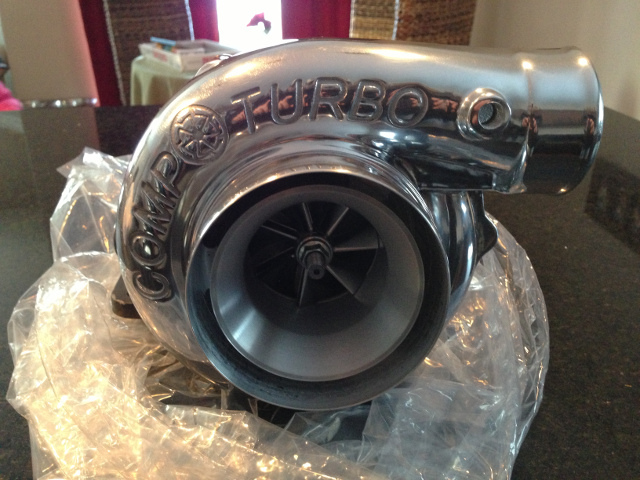 The oil-less option caught my attention, it was just more than I wanted to spend, but I still went with CT. Justin had this turbo at my door a week after ordering. slash, you should contact Hoss-05, he has an extra Synapse WG that I am sure he would sell you. Thanks 9k. Unfortunately, it won't be a simple swap. These pipes are really tight in the wg area and anything bigger wont fit. I originally tried a Precision 39mm and it was just big enough that it wouldn't go together. I have to figure out where I am going to relocate it which is going to require relocating the battery and some rework of the manifold and downpipe. 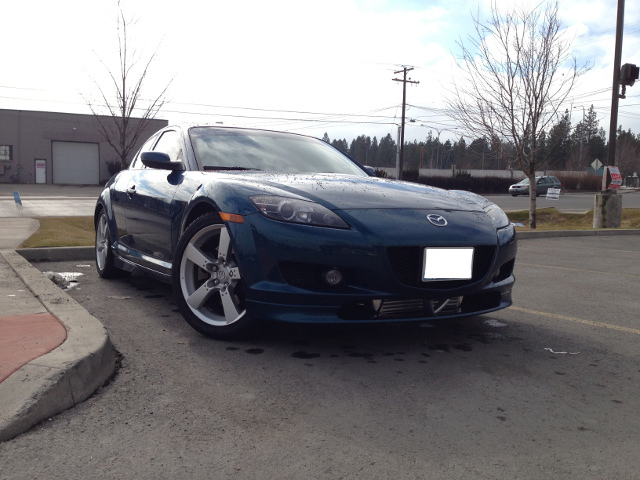 I also have a number of other things I need to do, like relocating the bov and some non-turbo related things. Now that it is running reliably I am not looking forward to tearing it back apart again right away I think I will drive it like this for a while and make a list of things I want to change all at once. If you can get it to make low to mid 300s as is ..... I would just leave it alone . Is this the book? I found it at B&N today. There were some drawings like you described. Last edited by slash128; 04-27-2013 at 11:45 AM. Last edited by 9krpmrx8; 02-18-2013 at 11:46 PM. Exactly - I constantly am amazed at the time and effort people put into their setups only to fail at the last hurdle . It's more about understanding how everything works and making sure each part does what it should than making sure the wastegate can handle ten million horsepower - or whatever other flight of fancy people go off on.